If you’re still in the planning phases for a Quinceanera celebration, you’re likely a little frantic. Choosing the best venue, dress, food, and entertainment can be overwhelming. In addition, many say that picking the wrong theme can wreck the whole evening. Considering this is one of the biggest days in a young girl's life, you only get one shot at it, and you don't want to mess it up. With so many Quinceanera themes to choose from, no wonder you're panicking! But don't worry! We're here to help! Consider what it is you are looking for, and dive into this article to find the best inspiration for your daughter's Quinceanera celebration. Whether you are looking to plan a laidback celebration for friends and family or a lavish and elegant event, one of these Quinceanera themes will be perfect for this special day. A Quinceanera is a Latino tradition of celebrating a young girl’s coming of age, traditionally on her fifteenth birthday (hence the "Quince," or "Fifteen," in "Quinceanera"). Traditionally, a Quinceanera celebration begins with a religious ceremony followed by a reception (called a Quince) filled with celebration. Today’s Quinceanera celebrations take many forms as girls choose to celebrate their special day in the way that best suits them and their families. But nearly everyone can agree -- throwing a party that is unique, and fun is an extraordinary part of the day. There are dozens of possible Quinceanera themes to choose from to make the party unique. However, it is important that you pick one that best suits the birthday girl. Thinking about a few essential aspects of the Quinceanera, especially before you select the theme, will ensure you make the best choice for the day. Consider her passions and what she really loves. Choose a theme that embraces her favorite things, whether that be a color, a place, or even an activity. Ask yourself where she might love to visit or what special experience she would like to have. You can capture this in the Quinceanera. As you read through the Quinceanera themes, look for the ones that stand out to you and make you excited to plan the event. That might be the clue that makes it clear you have found the perfect theme based on what you know about the birthday girl. Talk with family and friends as you brainstorm to consider what makes the birthday girl unique. 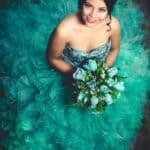 Choosing a Quinceanera theme that captures her unique spirit will help her to really own the day and appreciate this special event. You will want to pick a theme that stands out, not just because it is unique, but because it represents her own unique style and personality. Maybe you have already chosen your venue or are working with a tight budget. But, if you cannot choose between themes, some of these themes may work better for your space or your wallet. Be realistic about what will be best for you and your family as you plan this special day. Some of these themes are very DIY friendly not to mention you can make or borrow many decorative items to create a beautiful day on a reasonable budget. Below is a list of the best Quinceanera themes. 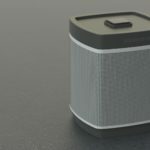 We have combined what is popular, eye-catching, and also unique to give you many choices. With these theme ideas to help you brainstorm coupled with everything you know about the birthday girl, you are well on your way to planning a successful celebration. 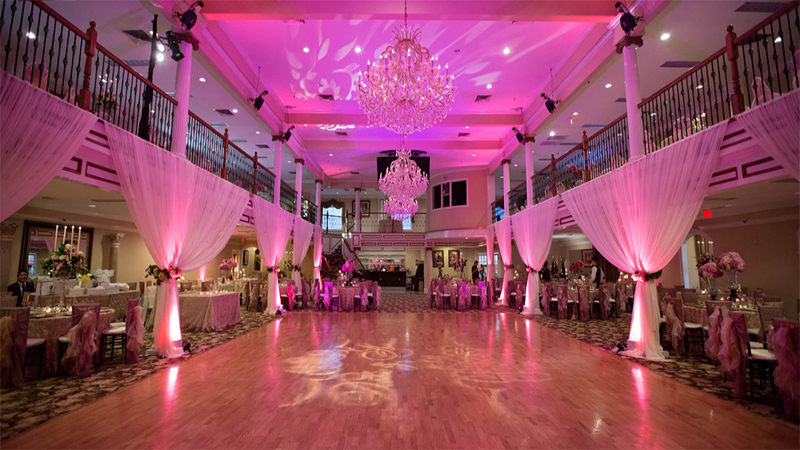 One of the most alluring Quinceanera themes is the masquerade ball. Capture the glamour and mystery of a fabulous evening with all her closest friends and family in disguise. Invite everyone to participate by donning a mask for the evening. For the Quinceanera's dress, she can choose to go with bold colors and jewel tones to capture the drama of the party. Make sure to pick a mask that compliments her dress. Choose a more traditional mask, like this gorgeous feather hot pink mask, or try out these equally lovely black lace masks reminiscent of a butterfly. Choose invitations to fit the theme, like these fantastic silver and teal ones from Amanda Creation. For the décor, incorporate lots of jewel tones and plenty of feathers. This white masquerade party centerpiece is perfect for every table, helping to keep the theme of mystery and intrigue alive for the whole celebration. You can even send home customized party favors, using these gold masquerade ball stickers. One of the sweetest of Quinceanera themes is this delicious Candyland theme. Embrace your sweet tooth and create a party filled with color and candy. If the venue is very plain, let the candy provide all the pops of color the party needs. You can decorate with lots of candy and add other special touches as well, like these great candy balloons. Grab plenty of different jars, like this apothecary jar set, and fill them with candies of all kinds, from skittles to starbursts. These colorful candy-themed invitations bring the bright color and sweet look that your Candyland Quinceanera theme needs. For the dress, she might like to be just as bright as the candy with a colorful ball gown. Or choose to contrast the brightness of the candy with a white or pale pink dress. Either way, with a party this delicious, guests will have a sweet time. If the elegance and glamour of Paris is her cup of tea, then this Quinceanera theme may be perfect. You can capture all of the charm of this magnificent city through the details of the party. A color scheme of pinks, black, and silver will be the perfect mix of uniquely Parisian elegance with all the fun of a Quinceanera. Her dress will be the key to this theme. Because the French are known for their exquisite taste, choose a dress that is understated and elegant. This silver and lace ballgown is an excellent example of this timeless elegance. These Parisian invitations are perfect for their unique shape. These black, white, and pink watercolor invitations would also work well with a Parisian theme. Decorate with all the iconic beauty of Paris. You will want to be sure to include these fantastic Eiffel Tower centerpieces as well as fresh flowers, lace, damask, chandeliers, and art. With all these classic touches, you will transport the guests straight to the City of Lights. If she loves the beach and ocean, or just wants to channel her inner mermaid, then she’ll love this “Under the Sea” Quinceanera theme. You can choose from many different color schemes, but incorporating lots of blues and silvers will give the party that shimmery underwater feel. A mermaid style dress like this gorgeous sequin teal dress works particularly well with this theme, but she might also like a shimmery ballgown in ocean colors. This metallic fringe will make an excellent backdrop for a DIY photo booth, looking like shimmering water. Grab these beach-themed string lights to light up the party in a nautical way. If it is possible to choose the local aquarium as the venue, then you will have the perfect space to really feel like this celebration is under the sea. These mermaid invitations will set the perfect tone for the party and have every guest excited to celebrate. These Quinceanera toasting flutes are the perfect finishing touch to celebrate this special day under the sea. One of the most fun Quinceanera themes is the Hawaiian luau. You can go all-out with the color. In addition, this theme works well with an outdoor venue, especially in warmer summer months. Even more fun would be to pick a venue with a pool, for a more laid back celebration. These invitations from Hadley Designs are perfect with their tropical accents and Hawaiian charm. Be sure to have plenty of Luau Leis for every guest, welcoming them to the celebration. For the Quinceanera dress, there are so many options. She can choose a colorful ballgown to match the theme or set herself apart with a gorgeous white dress. Decorate with lots of tropical flowers, like hibiscus, grass skirts, palm leaves, and coconuts. This gold glitter Aloha banner would be a great addition and make a great photo booth backdrop. These Luau photobooth props are great as well. Light up the night with lots of tiki torches and give every table its own grass skirt to fit the theme. Throw the birthday girl her own Quinceanera carnival, filled with all the fun and whimsy of a fair. Choose a venue where you can pitch your own colorful big top tent and decorate with lots of flair. These carousel carnival invitations are the perfect pop of color to get the guests excited for a day of fun. Decorate with all of the colors a carnival deserves. These confetti-filled balloons are ideal for the day. String these multicolor pennants and add string lights to set the mood for this festival. These glitter gold carousel horses would be great to add to table centerpieces or as toppers for the desserts. If you want to carry the theme all the way through dinner, offer guests traditional carnival treats. Hot dogs, pretzels, peanuts, and churros would all be great. Adding a popcorn machine to the party, especially these gorgeous chevron popcorn boxes, will be an excellent addition. Even having fresh cotton candy from a cotton candy machine would be a great touch and a sweet treat for all of the guests. 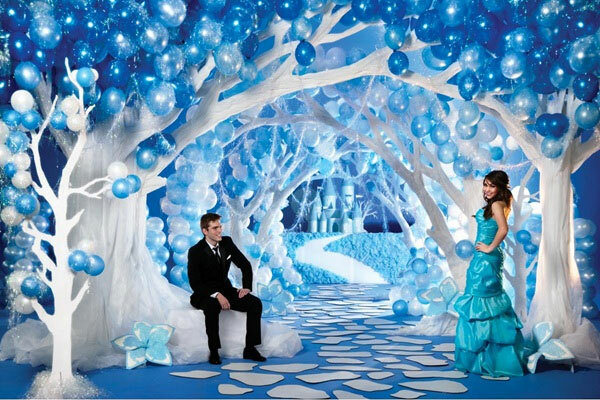 If her celebration falls in the winter (and even if it doesn’t), this may be one of the top Quinceanera themes. This elegant, modern theme can be the height of class and elegance. Picture a sophisticated winter wonderland with all of the beauty of shimmering snow and glamour. The color scheme should center around light blues and silvers to say nothing of whites. Also, add as much sparkle and glitter as you can to mimic snow and ice. Her dress is a perfect place to capitalize on this, making her the gorgeous ice princess. Use this silver beaded dress or this beaded blue ballgown for inspiration. These winter snowflake invitations are perfect to set the tone for a sophisticated evening in a winter wonderland. The décor will look best if there are lots of white walls and backlighting to create the illusion of a snow-covered room. Cover the tables in silver and choose white floral centerpieces or an assortment of candles. You might even want to add in some elements of ice and snow throughout the centerpieces. Add in small touches like these faux ice crystals or these snowflake cupcake toppers. Add these winter wonderland balloons to take this theme all the way to the ceiling. If she has always wanted to travel, embrace her inner wanderlust with one of the most creative Quinceanera themes. The sky is the limit with how creative you can be with this one. There are so many great decorations available with the classic phrase “adventure awaits." Likewise, vintage maps give a great feel to the celebration. These suitcase invitations will set the tone for the whole event, inspiring guests to hop on board this celebration. Set the stage for the party with this awesome Adventure Awaits banner to hang at the entrance to the party. Be sure to decorate with lots of luggage and planes not to mention maps of faraway places. Each table might have centerpieces that represent a different country. Or choose these “world awaits” centerpiece sticks and embrace the travel-themed ambiance. These travel themed photo booth props are the perfect addition to the photo booth, which may have a world map as the backdrop. Send each guest home with treats in these suitcase favor boxes. No matter what direction you go with this travel theme, there is sure to be a wonderful celebration and a grand adventure! No matter which of these Quinceanera themes you choose, you are sure to make a wonderful celebration of this particular time in a young girl’s life. Just focus on what makes your Quinceanera princess special, her likes and dislikes, and her dreams for the future. With this in mind, combined with making smart budget and venue choices, you are sure to throw a party with a theme that will be unforgettable.